Master Chefs are marinating in our mud kitchen, Captain Hook has just invaded Neverland, while Cinderella dances on our playhouse stage. This is a regular scene on our playground at GHA. 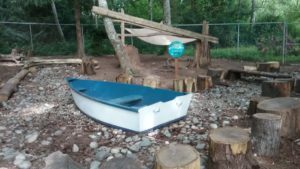 A group of GHA families and staff came together to create the natural playground funded at our 2015 auction. 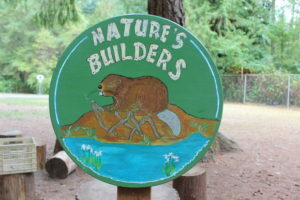 In the process of creating this nature Explore Outdoor Classroom, we’ve nurtured a culture of natural education and exploration that is a truly organic offshoot of our 10 acres of wetlands and woodlands. The Messy Room-mud kitchen, digging area and pretend play. Neverland-climbing, balancing on the tightrope, fort building, pretend play with our rowboat. The Playhouse Stage-complete with curtains at the back of the playhouse used for unstructured play as well as official musical instruction with our drum circle. 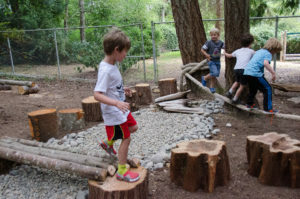 Nature play is not limited to the playground itself but extends around the school to other elements like the Children’s Garden at our entry, the fort building village by the field and our outdoor classroom table. 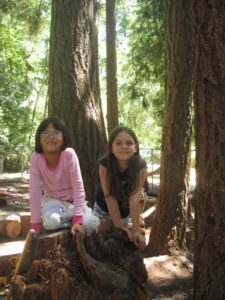 There are wood rounds throughout campus for gathering and climbing, trails bordering our wetlands set in the trees, and a school-wide garden program complete with a greenhouse. All these features are actively used by our faculty for learning in nature. 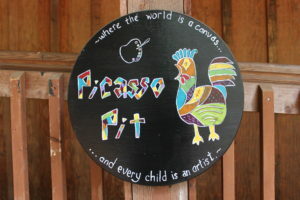 From art lessons and science experiments to math and poetry, our teachers direct the children to explore and discover on campus. Gig Harbor Academy is a unique school. We can see eagles soar overhead, deer nibble on our blackberry bushes near the parking lot and bunnies hop through the wildflowers of our lower field playground. 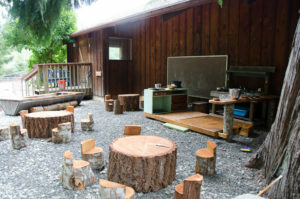 This outdoor classroom space is the link between indoor and outdoor learning. Daily immersion begins in our preschool and continues through our fifth-grade students and extends through our child care program. 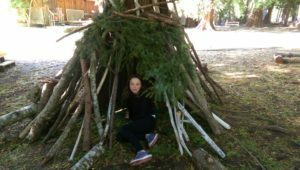 Although our community always appreciated our natural setting and woodland trails, the Eagle’s Nest and surrounding natural classroom features have taken us to another level. 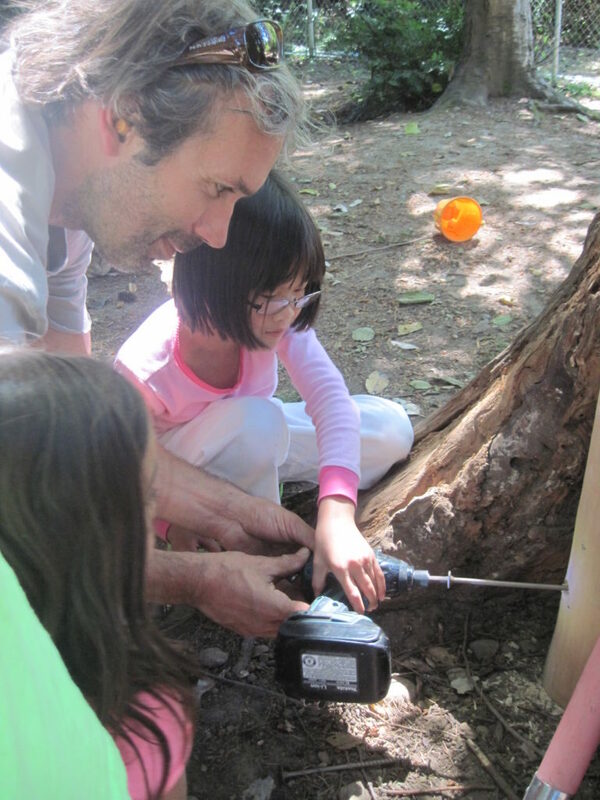 Not only has it provided lasting memories to our existing families, but it has also actively attracted new families that cherish our nature programming. The most obvious and immediate benefit has been seeing children excited to go outside and engage in intricate imaginary worlds that require cooperation and compromise, as well as noticing the natural world around them with its fascinating creatures. The long-term benefit is a new generation of individuals that will see the health of our earth and their own as intrinsically linked.